Getting your hands on a MIDI controller is a great way to level up your production and live DJ skills. If you are looking for something affordable, compact, and really useful then we recommend you to consider MPK Mini MKII USB midi controller. It does not matter if you wish to use it for a live show or studio purposes, because this particular controller will provide you everything you need and even more than that. It comes with a drum and keyboard pad combination which will increase the convenience and versatility. At the same time, it is compact enough so that you can fit it into a backpack and take it wherever you wish to go. We decided to present you a comprehensive review on Akai MPK Mini MKII USB midi controller. Akai is a known brand when it comes to creating affordable and high-end products for more than thirty years. This particular MIDI controller features a legacy construction, and you will feel the design when you lay your hands on it. By saying that, you should understand that it is not bulletproof, but it is not fragile as well. You will be able to travel with it, and it will stand the test of time in your backpack. Since it is designed for touring, it means that you will be able to use it with ease wherever you are. It comes with standard trigger pads that work amazing to the touch and feels good as well, which is all you will need for the product in this price range. Of course, it will not be able to surpass high-end models that you will find for the expensive price tag, but it is perfect for novice producers and DJs. The keys are smaller than a typical keyboard, but it is still playable after you get used to it. You will need a little bit of practice, and you will be surprised by the feel of playing when you learn how to do it. Check out the sound test of Akai MPK Mini on this video! 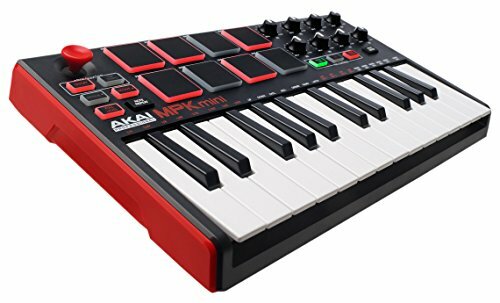 The first thing that you will notice when it comes to Akai MPK Mini MKII is that you will get a small MIDI keyboard controller. It contains 25 keys, which means that you will get miniature, but when it comes to length, it is similar size as 13-inch MacBook Air. By using this particular keyboard, you will be able to enjoy in maximal portability. 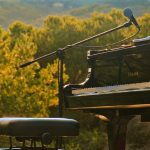 It does not matter if you are skilled keyboardist or not, because it is an entirely different approach with this particular one. 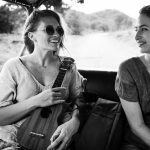 Playing melodies and chords will not be a problem, which is in most cases the main reason why people use this particular controller overall. However, if you have large fingers, it will be challenging to play it especially because keys will not provide you the weight as piano. However, we are not saying that keys are lousy, since they are velocity-sensitive, which means that the velocity will change based on how hard you hit the keys. You will also be able to adjust the velocity curves based on the keys. 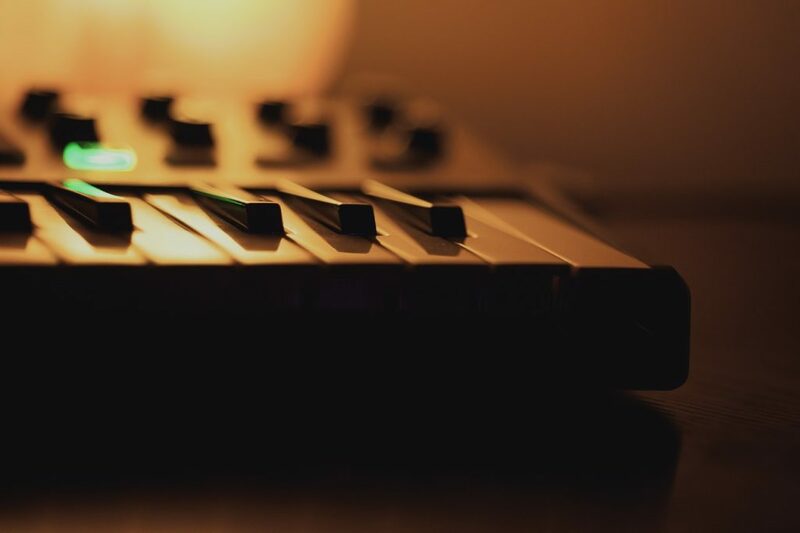 That is the reason why you should consider this particular keyboard controller because if you wish to use it to record basic chords and melodies for electronic music, it will be a piece of cake. When it comes to pads, they are vast improvements when compared with the previous model that had issues with build quality and sensitivity. Even though pads are not quite the same level as MPC, they feel great and come from heavy-duty and thick rubber as well as the matte surface that will make triggering drum sounds with ease. It comes with a compact keyboard and high builds quality, which means that you will be able to use it for years after purchase. The next thing we have to mention are rotary knobs, and you will find them less than centimeter tall, which makes them simple to break when you throw it in a backpack. These knobs do not turn endlessly, and they are sturdy enough for making soft synths and tweaks, but you have to program them correctly. The rest of the unit is small and closely spaced to each other. You will also get a four-way joystick that will replace typical mod and pitch wheels. It is a unique part, and the first generation did not have this particular addition. Therefore, joysticks will allow you to enjoy without adding unnecessary space to the keyboard. If you wish to understand how to set it up, you should watch this video! It is entirely USB powered, which means that you can easily install it and plug it wherever you go. It comes with VIP software, similarly as great MPK keyboards, and you do not have to sacrifice quality by choosing Akai MPK Mini MKII. You will also get Air Hybrid 3 Synthesizer feature that you can quickly implement. The 360-degree stick will allow you to control the pitch with ease with side-to-side movements, which you can change, modulations by up and down motions. Arpeggiator controls feature six buttons that will control every single aspect such as tempo tap controls, octave shift, and drum pads. Eight soft pads that are sensitive and smooth to touch and they come with bright red LED lights that are built-in. As you can see from everything, we have mentioned above, Akai MPK Mini MKII is an excellent choice if you wish the combination of compact design, affordable price tag and perfect features that will allow you to enjoy all the way. Value For Money – 10/10 – Even though you will get basic MPK model that features the ability to move it around in a backpack without breaking a sweat, you will also be able to get it for cheap price tag so that you can enjoy all the way. It is the best choice within the price range and perfect for traveling DJs. Features – 8/10 – Since it comes with an affordable price tag, you will not be able to compare it with more advanced controllers. However, you will still get decent features and sound modules that will allow you to improve your DJ skills. Playability – 9/10 – We can easily say that one of the best things about Akai MPK Mini MKII is that you will get the ability to play with ease and to transit from a regular keyboard to it in a matter of hours. Of course, the keys are smaller than regular keyboards, but they come with velocity sensitivity, which means that the sound will be based on how hard you press the key. Quality – 9/10 – Quality is very decent when you have in mind that you can find it for the cheap price tag. You will get a wide array of modules and possibility to play drums with pads and to change pitch based on your preferences. We have presented you review on Akai MPK Mini MKII midi controller. Overall, a decent solution will provide you the possibility to start with music making and sampling with ease. If you have previous keyboard experience, you will be able to transit with ease. The best thing about it is the affordable price tag, but the price will not interfere with its features and sound quality. The main disadvantage is its plastic build, but you will still be able to place it in a backpack and take it with you wherever you wish to go. If you have any questions, we recommend you to comment in the section below.